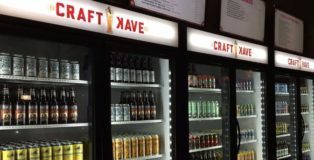 The alluring venue coupled with breweries who brought A-game brews, mostly served by its all-star staffers, made for a successful fest and one for which has the potential to maintain its year-to-year viability. Baseball season is back. 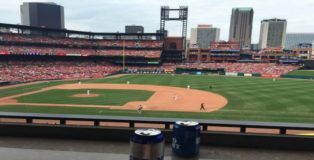 And though it may not feel like it in Chicago, I look forward to the warmer months when I get a sit in a plastic seat while watching a ballgame in person – with a beer in-hand. 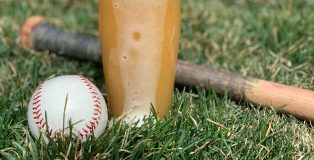 Much like America’s pastime, the venues that typically host baseball games are rooted in tradition, which usually means a heavy dosage of light macro lagers going for anywhere from $8-10. 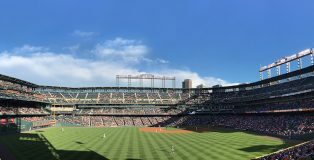 However, several ballparks around Major League Baseball have started to buck this trend by appealing to the new generation of baseball fans who want to buy a craft beer from a local brewer instead of the traditional Budweisers and Miller Lites of the world. 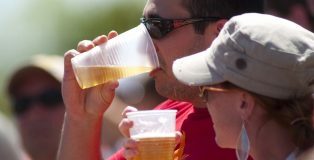 Plus, these drinkers expect a higher price point when drinking in a stadium, which means a craft offering can offer similar margins to a macro brew. 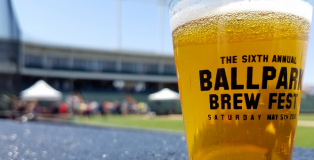 Here’s a look at six stadiums who are leading the charge by providing a great ballpark-centric craft beer experience to their fans. As I look out my window I am reminded of the brisk freezing temperatures outside, the recent snowstorm that blanketed yards and the ice that selfishly screwed up my neighborhood streets. Winter has only given a glimpse of what is to come as March typically is the snowiest month of the year in Colorado. As somebody who does not partake in typical winter activities, I am filled with anxiousness for warmer months that allows me to open my wardrobe of shorts and flip flops. My dreams are filled with sprouting flowers, dew covered grass and warm early morning sunrises. 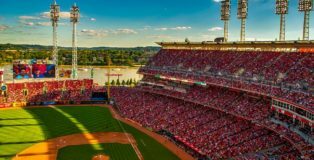 Most of all I am ready for baseball season. 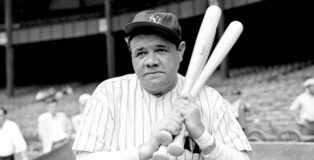 Therefore, near the end of March my baseball-infatuated kids and I are hightailing it to Phoenix, Arizona, for Spring Training. 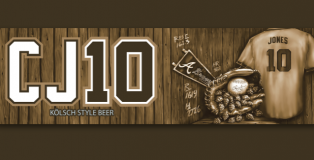 White Sox Craft Beer Night continues the year-long, maturing relationship between craft beer and the White Sox at its home, Guaranteed Rate Field. It started with the introduction of the Craft Kave prior to Opening Day, but anyone going to games has seen craft beer at almost every corner. 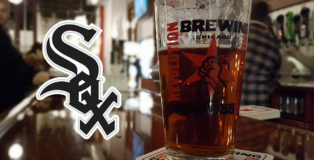 Now, by hosting its own craft beer festival on Sept 9, the White Sox are demonstrating their active participation within the broader aspects of Chicago’s craft beer scene. 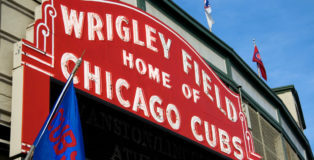 Stationed one block north of historic Wrigley Field is Uncommon Ground, the restaurant pub that also houses Greenstar Brewing, Chicago’s first certified organic brewery. On any glorious Cubs game day, patrons flock to Uncommon Ground for a taste of something different than the macro tall boys and greasy grub found up and down Clark Street. 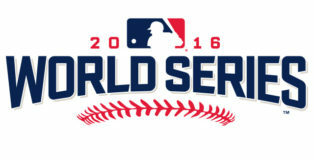 When you’re home to the World Series champions, new opportunities get thrown your way. 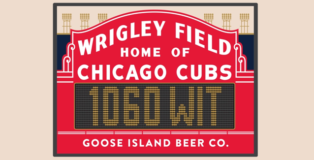 For Wrigley Field, one of those new opportunities is to work with Goose Island on an exclusive beer collaboration. 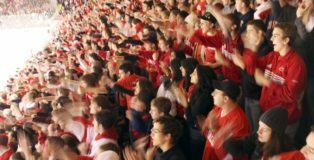 This time around, we have a scrappy, injury-laden team many have considered underdogs the entire way by almost all the sports analysts out there. But we like it that way. It’s just like Cleveland to be a fly in the ointment, the ones who people count out immediately. 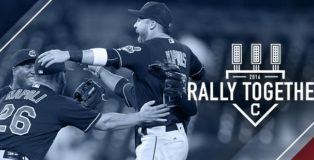 So in this Ultimate 6er we include some of the best of Cleveland’s beer scene – with a few surprises that some people may not have considered to try as they head to their favorite bar to check out the Tribe battle with the best of ’em, or perhaps even watching the games in the comfort of home with a few close Cleveland Indians baseball fans. Can you believe it? We blink our eyes and the year is running toward 2017! Football season is right around the corner, yet it seems just days ago we had friends over to watch the Denver Broncos hand the Carolina Panthers a loss in Super Bowl 50 at Levi’s Stadium. Pre-season starts this week and the regular season gives us a revenge match between last year’s champion contenders on September 8th. Admittedly a diehard Philadelphia Eagles fan – each new year brings a treasure trove of emotions. Unlike Cleveland Browns fans, we tend to believe we are winners all the time and no matter what the odds makers say, we have a chance! 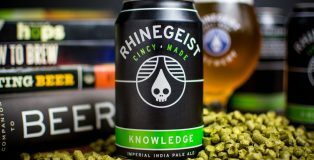 If you are a baseball fan on any level, this beer’s clever naming convention has probably already clicked with the compartment of your brain designated for phrases, puns and parlance. 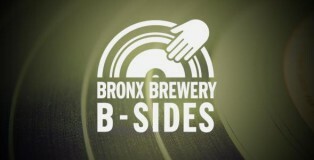 According to The Bronx Brewery of New York, On The Black is not only a term for a pitcher during a prime performance, but also a brewer at their best. After my encounter with said beer in the field, I find it hard to argue otherwise. Hi all! I’m Kate, a new contributor around here. 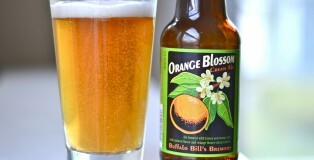 I write the blog Brown Ale Girl, which shares snippets of life, food, and beer in Cincinnati. I love drinking dark beer, supporting local businesses, and witnessing the revitalization of the Queen City.